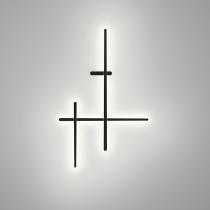 Arik Levy has created for Vibia a unique and versatile wall lamp. Sparks is a collection whose elements can be rotated, allowing infinite possibilities from the same composition. This versatile lamp disseminates new energy in space, thanks to its dynamic and architectural appearance. The essence of the Sparks lamps is in its inspiration from sparklers to create sculptures on the wall with an architectural sense during the day and a magical lighting effect at night. 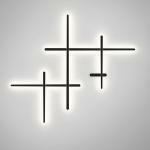 The result is a light sculpture on the wall, able to adapt easily to the requirements of any project of architecture or interior. 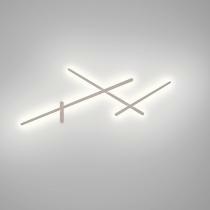 Vibia is a lamps designer firm founded in 1987 in Barcelona, Spain. 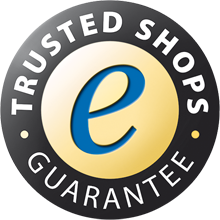 It designs innovative, different and made with high quality materials lamps. It is focused on the finishes and the handmade details. Vibia lamps, among which Alpha Square - White Lacquer Matte Lamp is included, have a modern design and blend perfectly with current interior design trends. 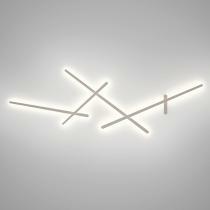 Vibia also designs outdoor lamps. 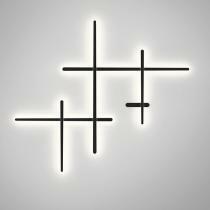 Vibia was founded with the mission to provide lighting products with a special and new design based on quality. 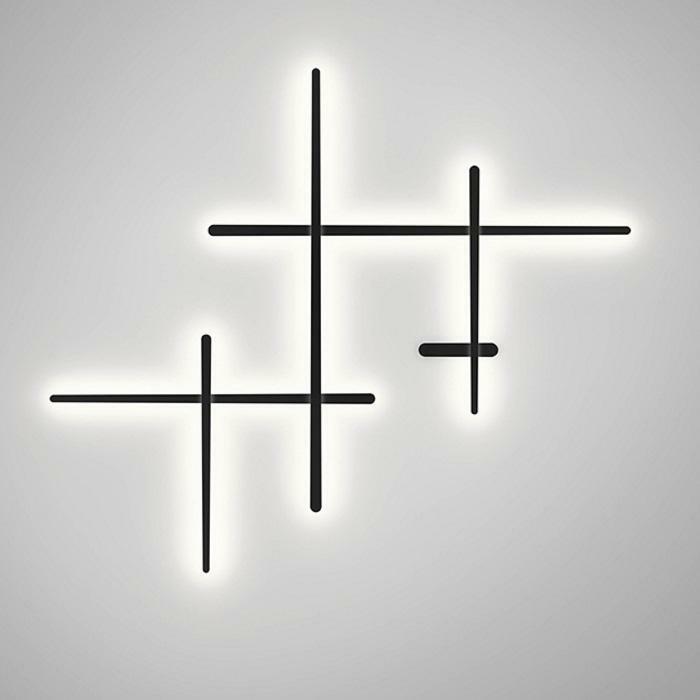 Each Vibia lighting design, including Alpha counting Square - White Lacquer Matt Lamp, follow the same criteria: the purity of lines, refinement in materials, and innovation in technology. - Apply large composition (ref 1700). - Apply medium composition (ref 1705). - Apply small composition (ref 1715). Artist and industrial designer, who attended the Art Center College in Switzerland, where he got graduated in Industrial Design in 1991. 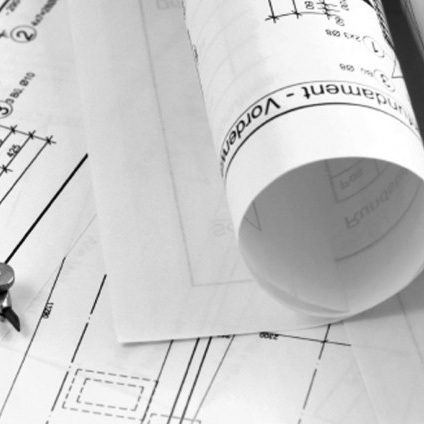 Levy has developed a multidisciplinary approach, in development for the past 25 years a successful career in the fields of industrial and technical design. He currently works in his studio in Paris. - 1 x LED strip 30v 58,5w for the large model. - 1 x LED strip 30v 50,7w for the medium model. - 1 x LED strip 34,8w 30v for the small model.